Finding and retaining good people for your business is a challenge. We hear so much in the media about unemployment, but the experience of most business owners is that there is no pool of great talent waiting at the front door. Of course it is essential for businesses to identify their competitive advantages in the marketplace. But equally important is to identify and nurture their competitive advantage as a sought after employer. This Business Owners Forum event will be held at the BNZ Partners facility on Constellation Drive, North Harbour at 5:30pm on Thursday 19 April 2012 – and will run through to 7:30pm on the night. Heidi Johnston – Managing Director of Windowmakers Limited. Heidi led Windowmakers to success as winner of the Employer of Choice Award at the 2010 Enterprise North Shore Business Excellence Awards, so she has a wealth of insights into this topic. Come and hear how Heidi has created an organisation that is at the top of its game as a sought after employer. Bryce Johns, Editor – Herald on Sunday. Herald on Sunday is an employer that stands or falls on its ability to attract and retain top talent. Bryce has some valuable insight on how his organisation rises to that challenge. Come along and glean some tips, techniques and strategies from Bryce’s story that you can take back and utilise in your own business. This Business Owners Forum will be a must attend for business owners who recognise the need to develop a competitive advantage as an employer of choice. 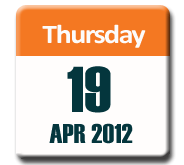 If you’d like to attend this event, email Fraser Hurrell before the end of 16 April 2012. And if you’d like to be included on the invite list for future events, just add your contact details in the box to the right.